We love coffee…a lot! Luis is such a snob for coffee and Danielle loves it too, and we love this local coffee roaster and house called Beck’s Coffee in the heart of Las Cruces, NM. They sell a variety of beans and blends and use a special “pour over” technique that you don’t see in your neighborhood Starbucks, or even the majority of coffee houses we have visited. 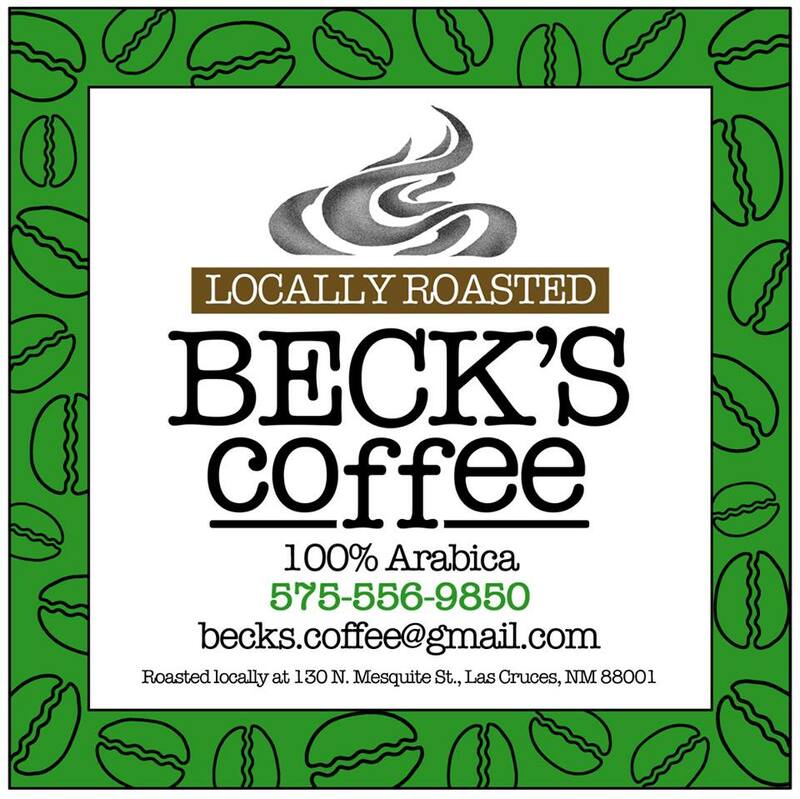 Beck’s coffee is owned by a local married couple called Tyrell Thacker and Ariana Parsons who are simply awesome and have a passion for some of the same things we do: coffee, arts and the value of local and growing the community. They have owned this coffee shop and purchased the brand from the original Beck after she decided to move back home to Australia and have seen this business grow and continue to improve as time goes on. As a part of what seems a long road into fund raising for our adoption we decided to reach out to them and see if they would be interested in hosting a fund raiser for us and they loved the idea! Unfortunately for our not local friends, this will take place in Las Cruces only and we will be having what is called a “Coffee Tasting” at their coffee shop where a group of attendees will not only get to also become Adoption Partners, but they will get to experience different blends and roasting levels, enjoy some live music and fun among friends and members of the community. Details of this even will be revealed soon as we are still planning some things out, but it will be tons of fun, specially for coffee lovers like us! We are also looking for other Adoption Partners that would be willing to contribute to help us in this exciting adventure of fund raising. If you are interested please let us know and we would be happy to sit down with you! Click here to go LOVE them on Facebook!